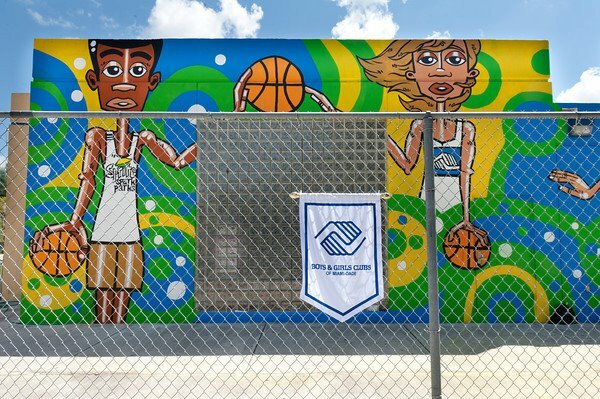 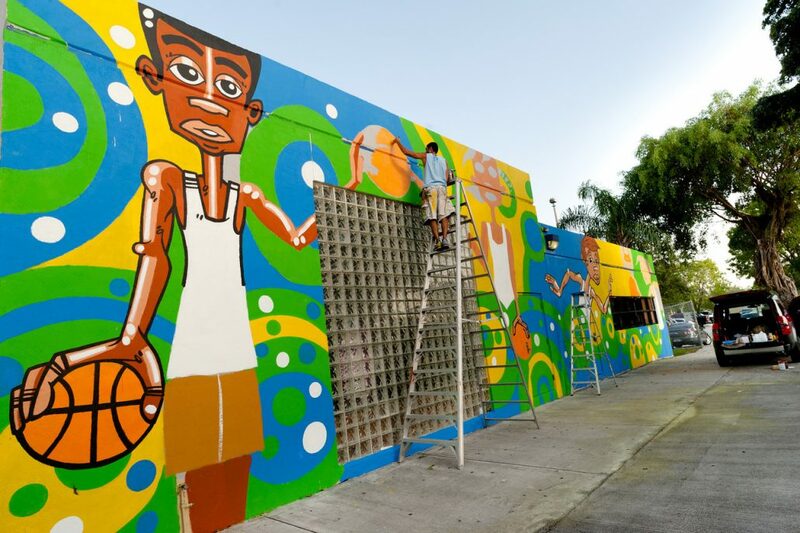 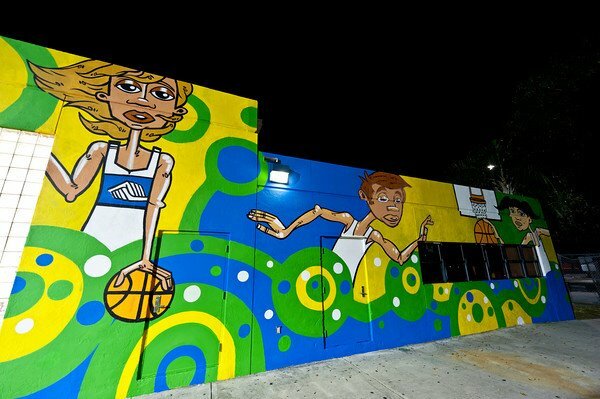 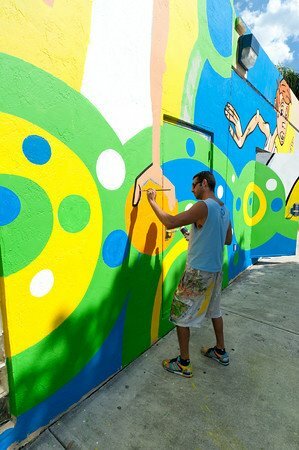 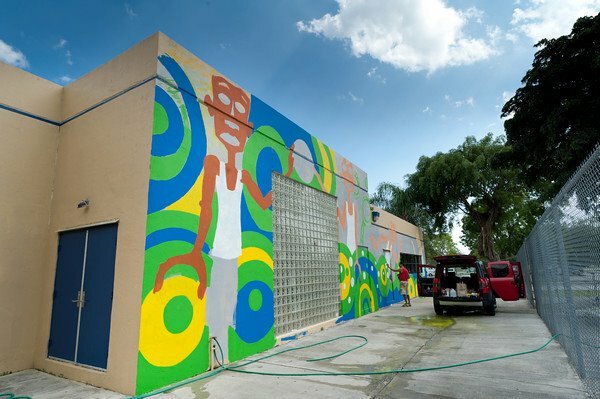 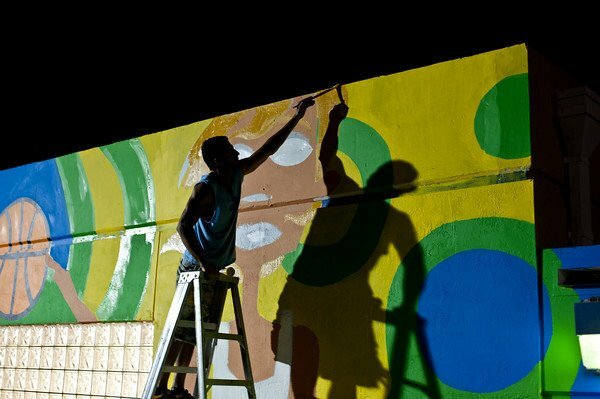 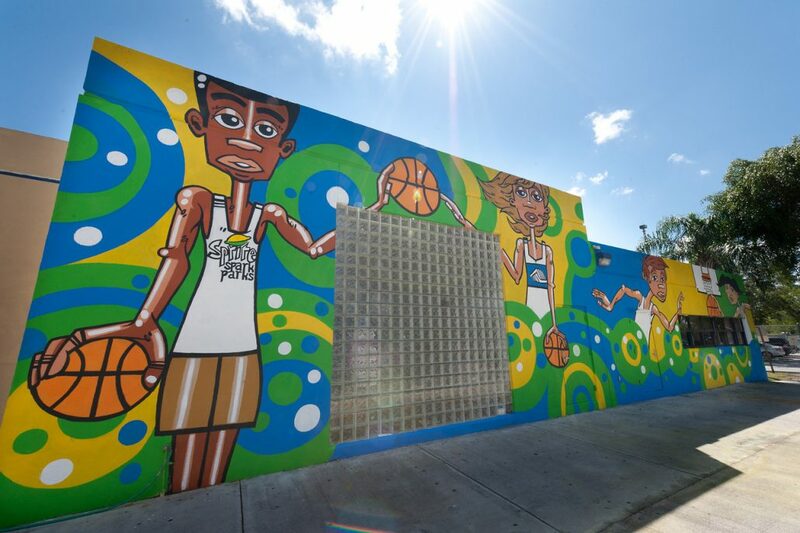 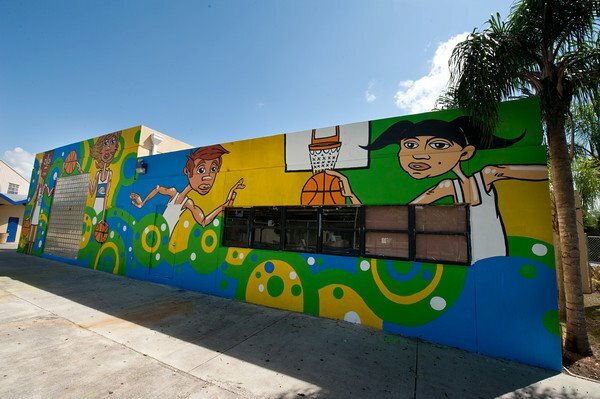 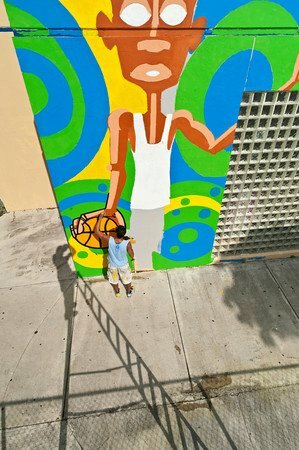 I was commissioned by the Boys & Girls Club, Sprite and Lebron James to create a mural that would be part of Sprite Spark Parks initiative to refurbish playgrounds around the country. 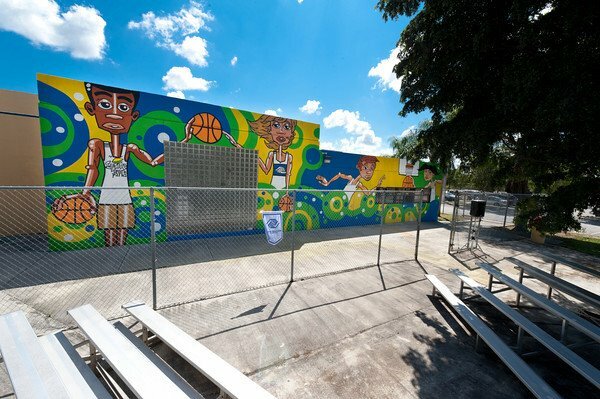 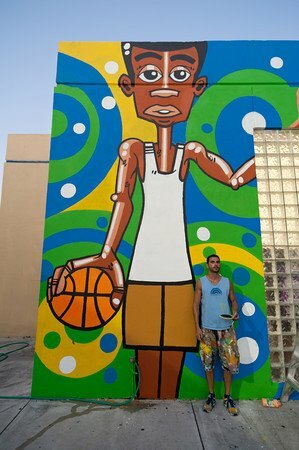 This particular mural was painted alongside the basketball court that was renovated. 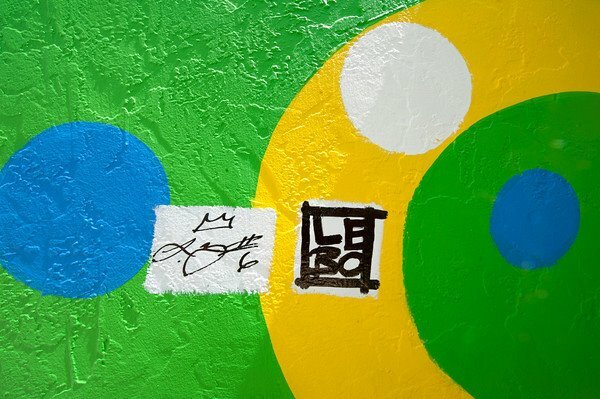 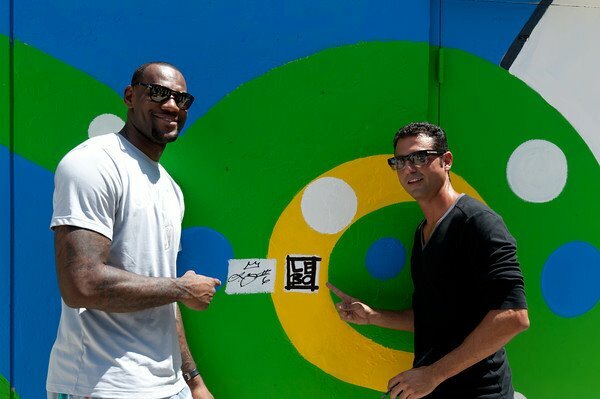 Lebron and I revealed the piece during a beautiful South Florida afternoon to a group of boys and girls along with members of the media, Coca Cola and Boys & Girls Club representatives.